DJ Shadow will be revisiting his 2016 album The Mountain Will Fall with a new live album and film. The concert package is being dubbed Live in Manchester: The Mountain Has Fallen Tour and was recorded live at Manchester's Albert Hall last October. Of course, the live date was in support of The Mountain Will Fall, as well as DJ Shadow's 2017 companion EP The Mountain Has Fallen. The live release will arrive on vinyl and CD/DVD on July 13 via Mass Appeal Records. 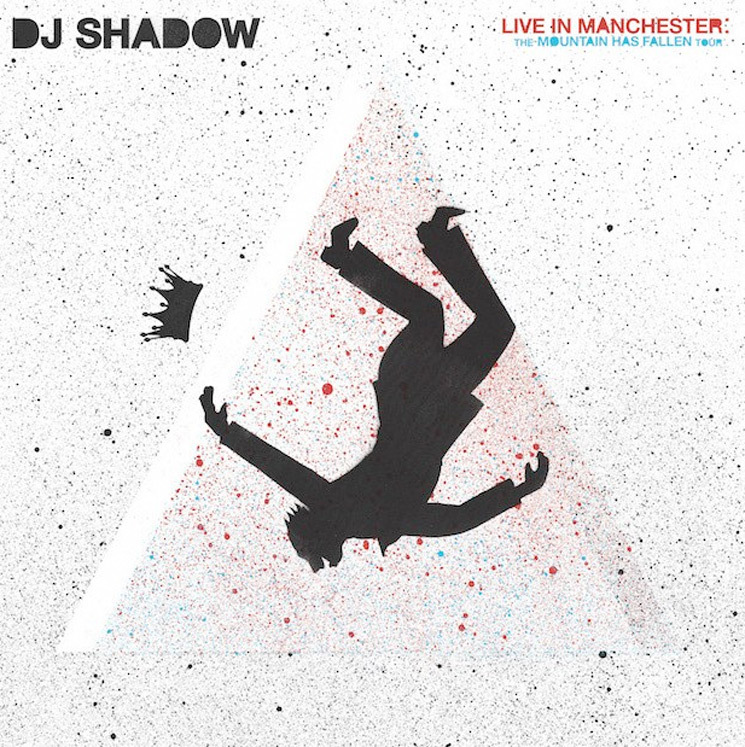 Recorded at a sold-out Albert Hall in Manchester, England on October 5th 2017, the release documents DJ Shadow's most ambitious, extensive worldwide tour yet. Shadow blasts through classics and more obscure cuts from his discography, among them "Midnight In A Perfect World," "Nobody Speak," and "Six Days" — whilst surrounded by stunning visuals captured on the DVD. Up above, you can see the cover art for the Live in Manchester, while the tracklist is below, where you'll also find a trailer for the film component.